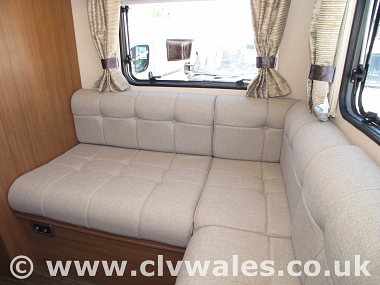 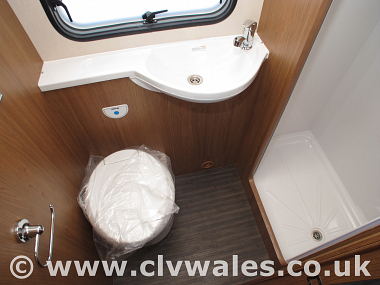 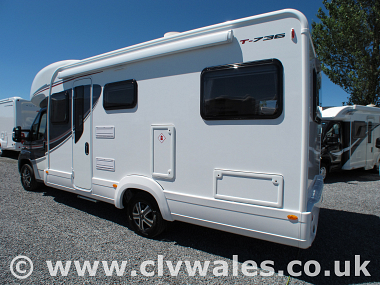 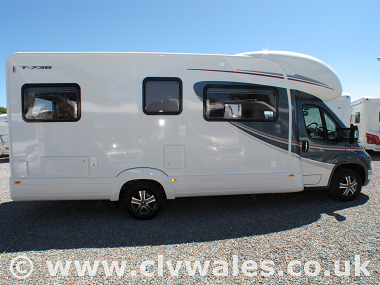 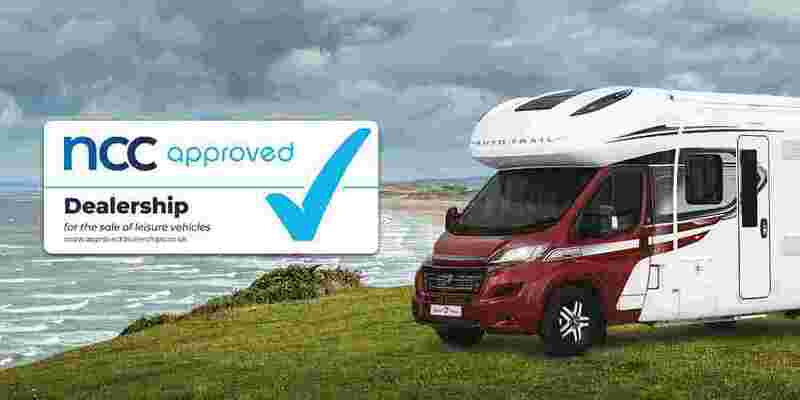 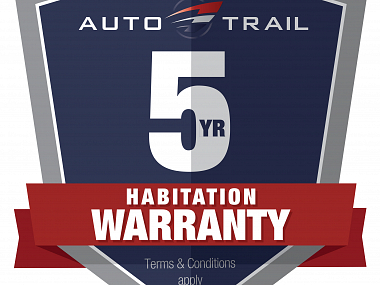 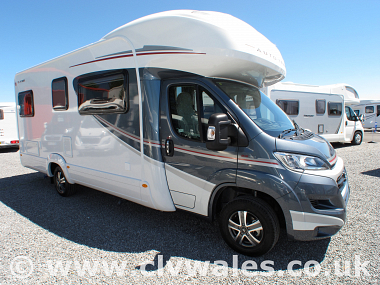 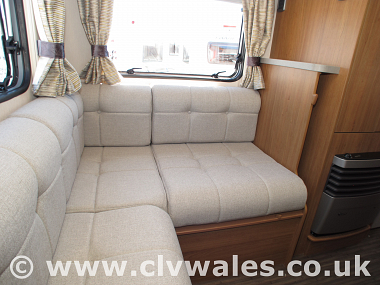 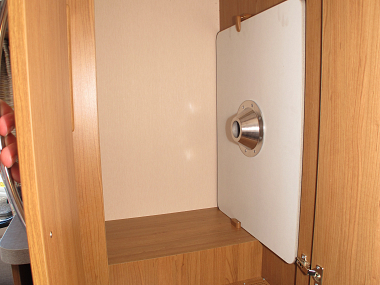 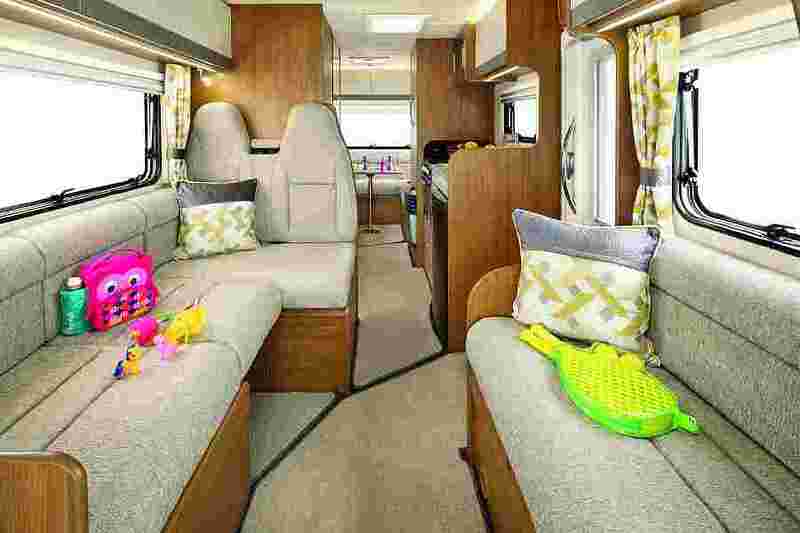 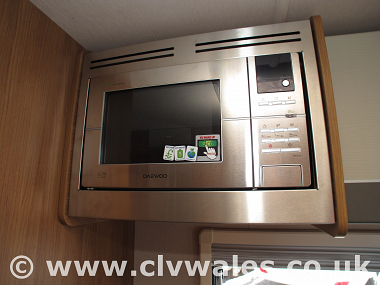 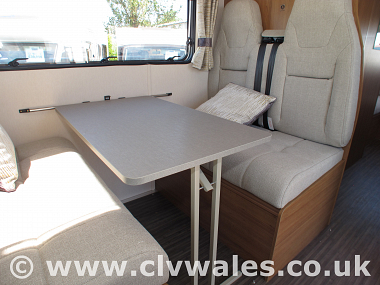 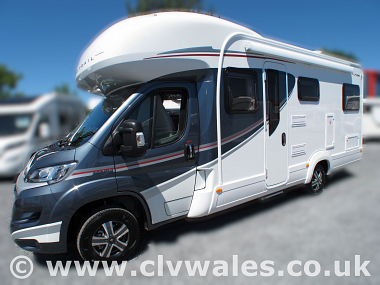 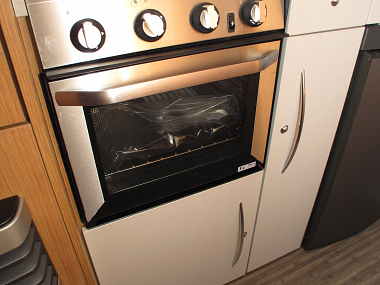 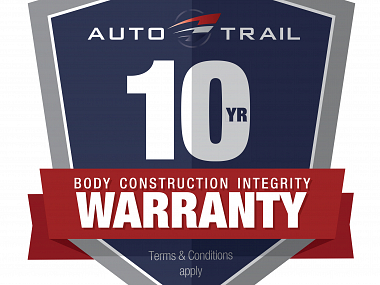 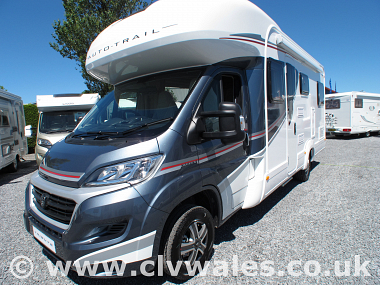 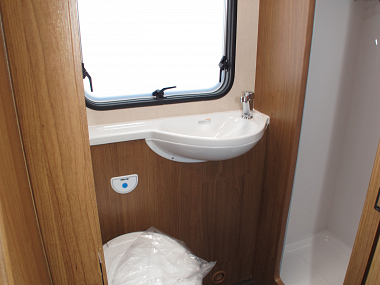 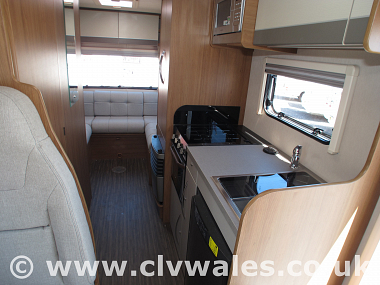 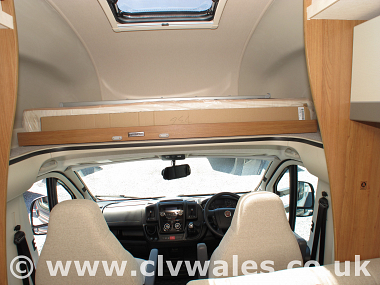 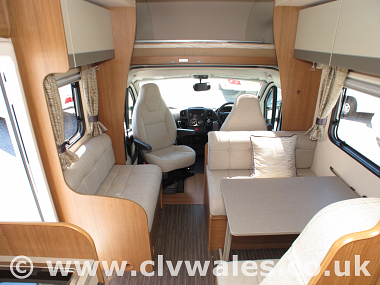 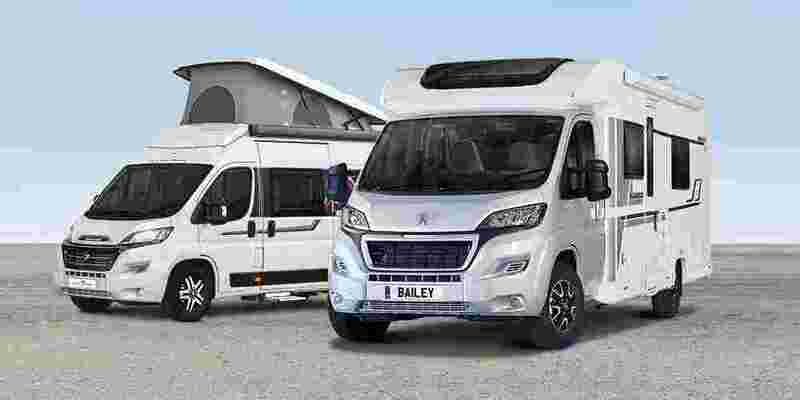 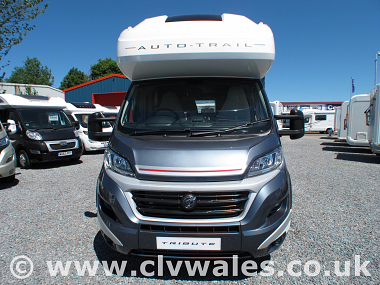 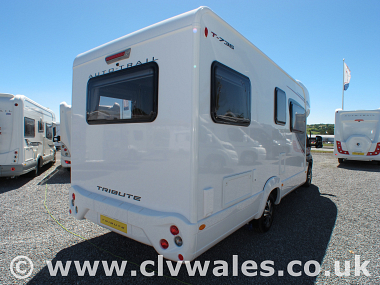 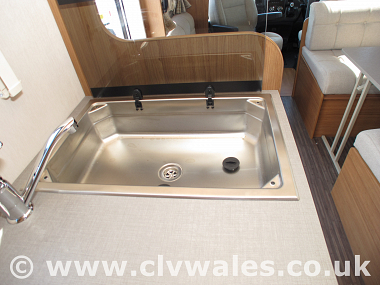 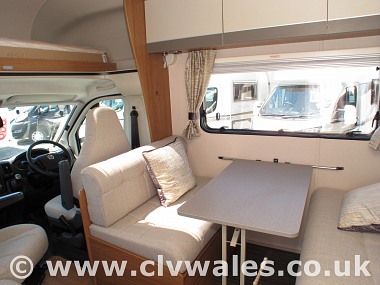 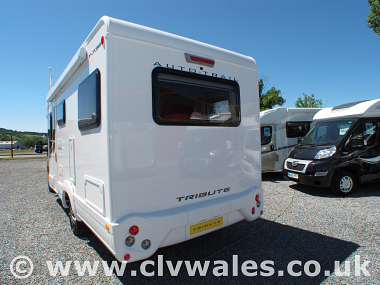 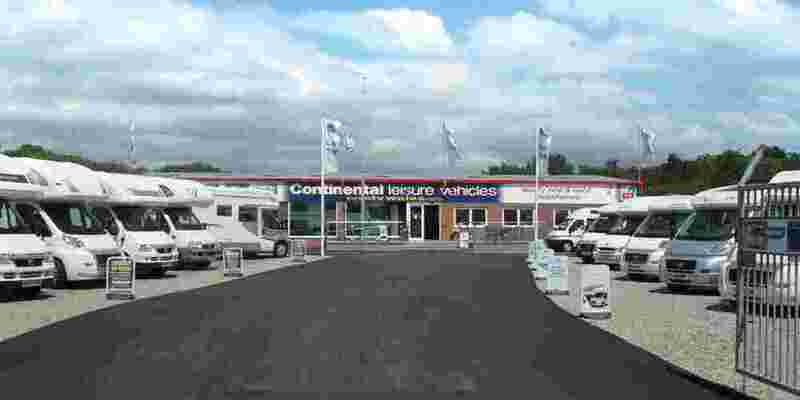 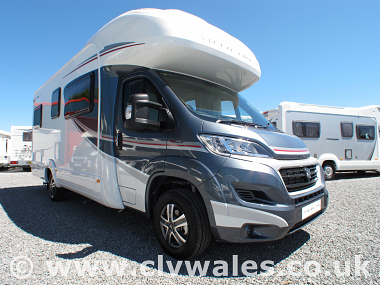 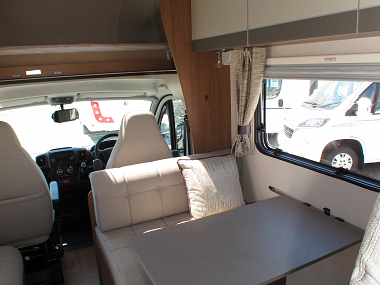 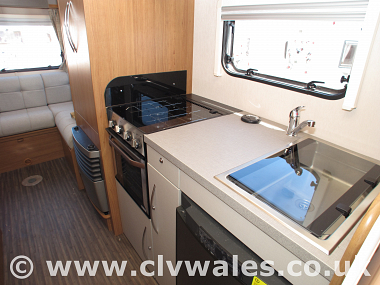 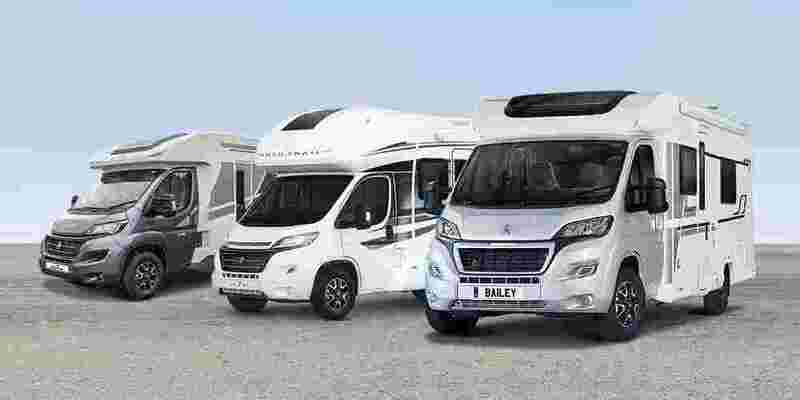 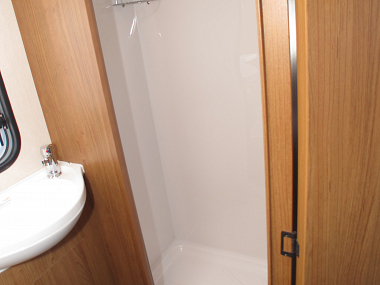 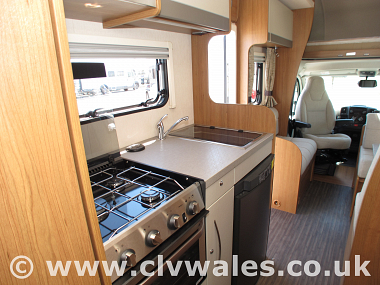 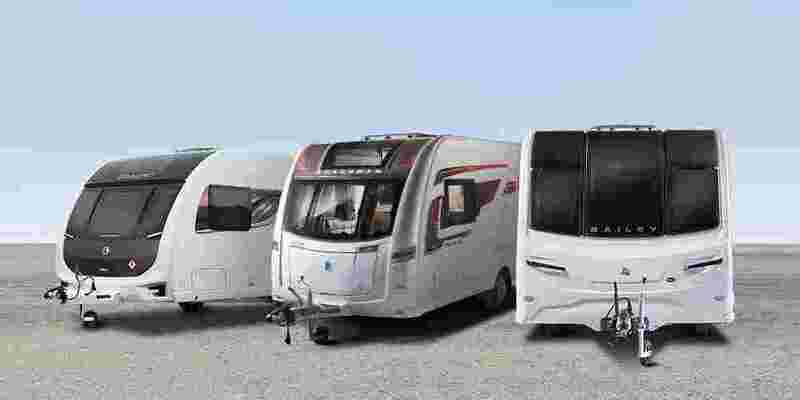 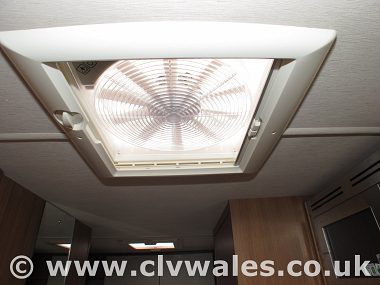 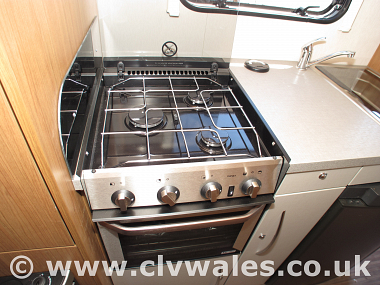 Built on Fiat''s 7.25 metre wider track chassis for extra stability, standard equipment includes 6-speed gearbox, ABS brakes, remote control central locking, a panoramic rooflight, colour reversing camera, fitted microwave and removable carpets. 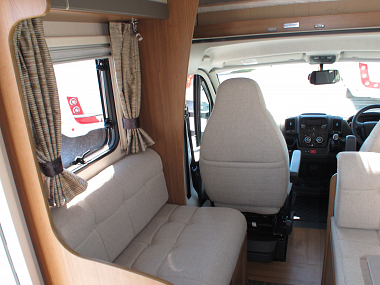 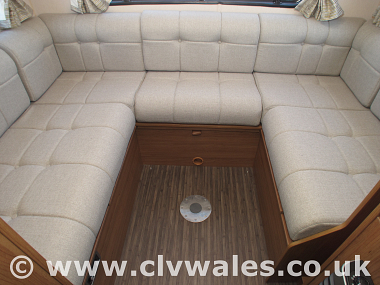 Behind the rotating cab seats is a spacious front lounge, separated from the U-shaped rear lounge by the nearside kitchen and a washroom on the offside. 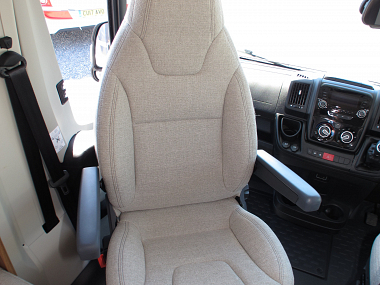 Cab air conditioning, Cruise control with speed limiter function, Steering wheel controls for radio and telephone, Passenger airbag, Spare wheel and under-slung carrier,Cab carpet, Driver and passenger seat swivels, Colour reversing camera and rear view mirror monitor.